Dr. Sarah Karytko is a psychologist in Brookline, MA specializing in eating disorders, substance uses, college mental health, addictions, anxiety, depression, and trauma recovery. Taking a collaborative approach, she has deep expertise in substance use and eating disorder recovery. She sees young adults, adults, and parents. Dr. Karytko has extensive experience empowering individuals to live life free from substance use. Taking a psychodynamic and relational approach, Dr. Karytko engages clients to examine root causes of substance use in order to ensure their longterm recovery. 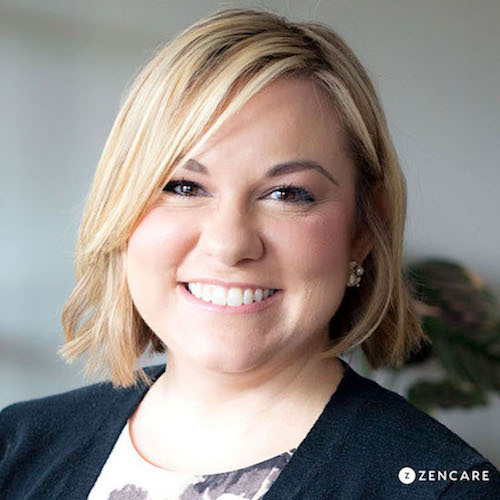 She also specializes in helping clients experiencing eating challenges through a collaborative, team-based approach, consulting with psychiatrists, dietitians, and primary care physicians as necessary. She strives to understand each client as a whole being, easing away from traumatic past experiences and letting go of coping methods that no longer serve them. Dr. Karytko creates a warm, accepting environment that is conducive to helping each client make progress towards their individual goals. Dr. Karytko is not in-network with any insurances. Therapist's note: Dr. Karytko can provide you with paperwork for reimbursement from your insurance company if you are seeking out-of-network sessions. "Seeking help is always difficult, but finding the right person to help you can often be just as hard. While solid credentials, accredited education, and clinical training are essential, it’s also just as crucial to find a therapist you can trust. I take a collaborative, empowering, and in-depth approach. I believe that a supportive relationship between therapist and patient is where lasting change begins, and eventually leads to a deeper understanding of yourself. Together, we will work toward making changes and reaching your personal health and well-being milestones. I facilitate a warm, accepting environment that offers understanding and care, coupled with supportive challenges to help you grow."